Dr. Yeo Wee Ping is a lecturer in Mathematics at Faculty of Science, Universiti Brunei Darussalam. He received the B.Sc. degree (with honors) in Mathematics from Universiti Brunei Darussalam in 2003, the M.Sc. degree in Mathematics from King's College London, University of London, U.K., in 2006, and the Ph.D. degree in Mathematics from the University of Strathclyde, Scotland, U.K., in 2013. His main areas of research interest are spline functions on triangulation, construction of refinable stable local spline basis functions and macro-element riesz bases. His dissertation work involved the construction of refinable stable local bivariate spline bases on Powell-Sabin-12 triangulations. Dr Yeo also pursues interests in the construction of macro element spline functions on triangulations with curved boundaries. He is currently working on the approximation power of piecewise polynomials on piecewise conic domains. 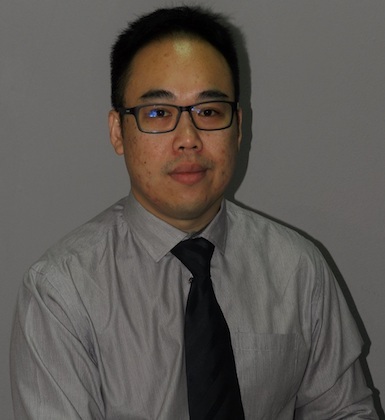 Dr Yeo is a committee member of the East Asia Society of Industrial and Applied Mathematics (EASIAM). Research papers published in Scopus listed international journals. Research collaboration with a professor at University of Giessen, Germany. My research work will provide me with unique expertise and research skills in a dynamic, fast growing area of numerical analysis with great potential. I will be best prepared to both further developing theoretical knowledge of high impact, and looking at applications.